From Love, Teach, because she puts it so well! 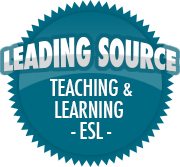 | So, You Think You Can Teach ESL? From Love, Teach, because she puts it so well! 4) You find yourself going into Teacher Mode outside of school. Or at least wanting to. For instance, I spoke to quite possibly the rudest pharmacist in the history of rude pharmacists on Tuesday morning, and I was very, very close to issuing her a lunch detention. Enjoy the whole list, and check out her blog! 2) You buy things and have them shipped to the school so you don’t have to lug them from your house. 3) You can easily spot the difference between someone reading a book in their lap and texting. Nobody smiles at their lap.